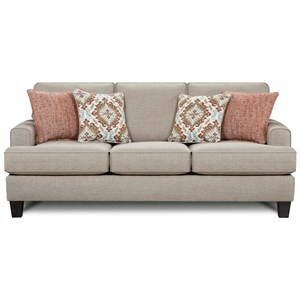 This transitional sofa adds style and seating to your home. 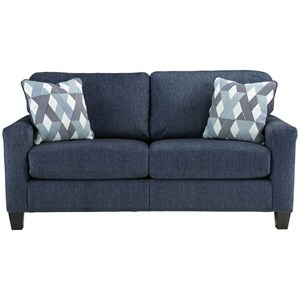 This piece features tapered wood feet and shaped track arms while being wrapped in welt cord trim for a clean look. Create a space where you can proudly hang out or host friends and family while showing off your simple and trendy style. The 2310 Transitional Stationary Sofa with Shapely Track Arms by Fusion Furniture at Olinde's Furniture in the Baton Rouge and Lafayette, Louisiana area. Product availability may vary. Contact us for the most current availability on this product. Browse other items in the 2310 collection from Olinde's Furniture in the Baton Rouge and Lafayette, Louisiana area.